Enjoyed a heartfelt conversation with the incredible women of Al Fayha’ village in Madaba today. Thank you all for your warm welcome! Thanks to all the schools that have met the standards set by the Royal Health Awareness Society’s Healthy Schools National Accreditation Program. Our children’s health is just as important as their education! Many thanks to the team behind ‘I Learn’ for providing youth with creative spaces to learn, think, and innovate. The enthusiasm and curiosity I saw today in those eager young faces are a testament to your incredible efforts! With Google CEO, Sundar Pichai, earlier today. After the successful launch of our adult-learners platform in 2014, I’m excited to announce Edraak’s new online learning platform, catering to school-aged children across the Arab World! 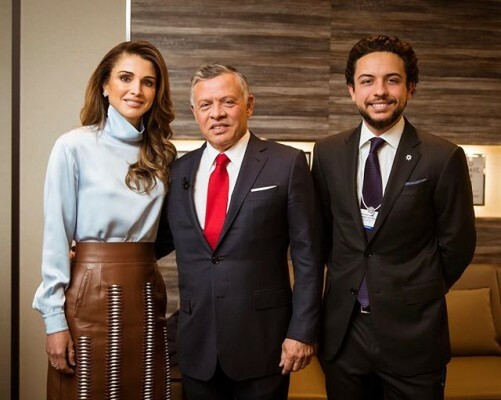 An initiative of the Queen Rania Foundation for Education and Development in partnership with Google.org, the K-12 Edraak platform launches with maths for grades 7 & 9, with much more to come!